While dogs chewing on and ingesting wood is not recommended, sometimes a chunk of wood becomes a playful teaching tool when walking the dog. 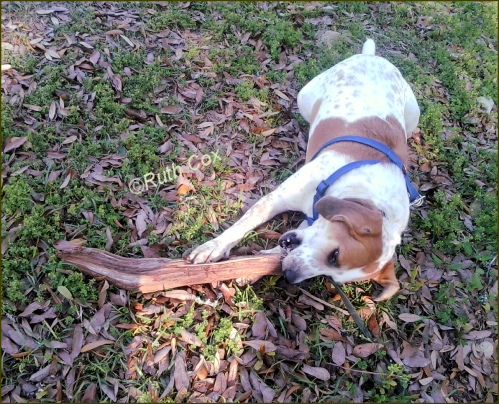 Along our pathway, my dog Valentino pulled an old piece of tree branch out of the woods and commenced with chewing. But of course, I had him drop it so I could take a good look at what he was chewing on. It was fairly rotted so I was confident he would not get a splinter in his mouth from it as it basically crumbled as he chewed upon it. 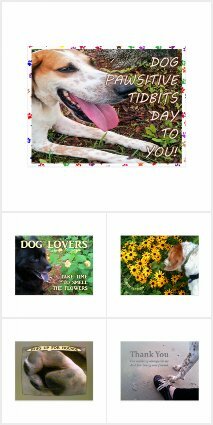 And (good dog that he is) he would chew, then spit the wood chips out, not swallowing them. I grabbed this as an opportunity to give him some off-leash dog training since I knew his focus would stay on his treasure. Letting go of the leash, I tossed the piece of wood about twenty-five feet ahead. He ran as fast as he could, grabbed it, and returned close to the spot where I took it from him originally! 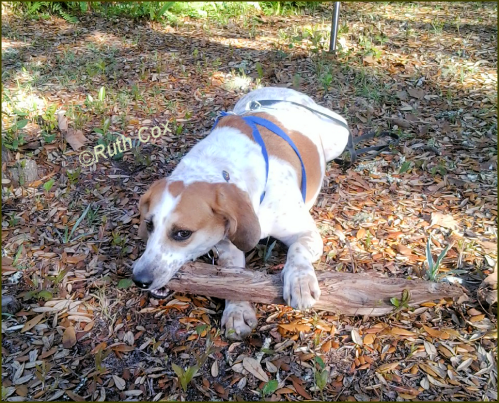 We did this over and over again until we finally made it home and the priceless puppy look on his face as he held that piece of tree limb in his own yard made for sheer pleasure for me. Although, he seemed a bit concerned that I might take it away from him again! And yes, I did grab the piece of wood one last time, this time tossing it deep into the wooded area from whence it came. A couple of special dog treats later Valentino forgot all about that chunk of wood.